Let us share with you our secret to a CLEAR + BRILLIANT skin! Have you ever thought of investing and maintaining your skin health like how you maintain your body physique or … even your beloved handbags, cars etc? Have you ever considered to enhance your skin confidence? Ever wondered what did the celebrities do to get that flawless look without makeup? Celebrity like Drew Barrymore and Australian model & TV host Rebecca Judd absolutely swear by CLEAR + BRILLIANT. This treatment refreshes, smooths and gives your skin glow back with no downtime. It zaps away brown spots and discolouration as well as minimising those pesky pores and fine lines! 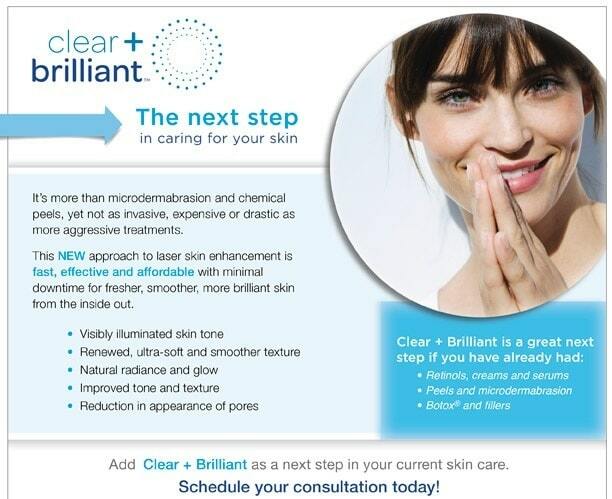 After having just one session of the Clear + Brilliant Laser, your skin will feel ooh-la-la the following day! Not to mention, 7-14 days post treatment – WOW – your #skingoals are finally coming along nicely, of course, with the many compliments attached. 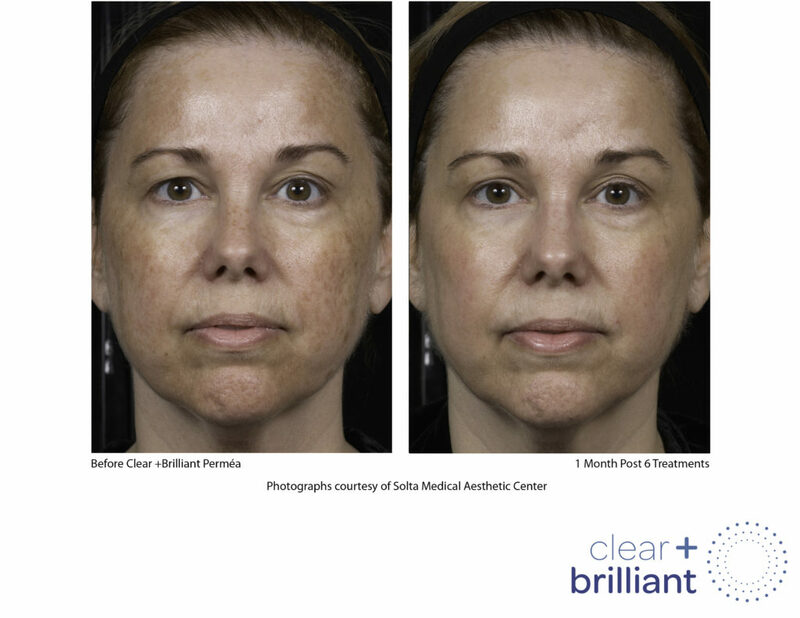 Clear + Brilliant is a gentle fractional laser that refreshes your skin from the inside out. The laser energy creates millions of microscopic treatment zones in the upper layers on the skin, replacing damaged skin with healthy, younger looking tissue. What exactly happens during the Clear + Brilliant session you ask? Dr Ricky or a senior therapist runs through your in-depth skin consultation about the Clear + Brilliant treatment and important skincare information for post treatment. The treatment is very tolerable but to maximise your comfort we apply numbing cream 30 minutes prior to your treatment. Clients often describe the treatment as a very relaxing one and usually dozes off whilst listening to our soothing lounge music. Once the laser treatment is completed, a beautiful concoction of medical-grade Vitamin C, Obagi Hydrate (moisturiser) and SPF 50+ sunscreen will be applied. Post session, your skin is plump and rosy pink. You can feel a slight warmth to the skin, similar to a mild sunburn sensation, and that fresh, tight feeling. You have the option of a light application of medical makeup (such as Oxygenetix - yes, we do stock them) to help disguise any redness and also to help the skin breathe and heal with confidence. 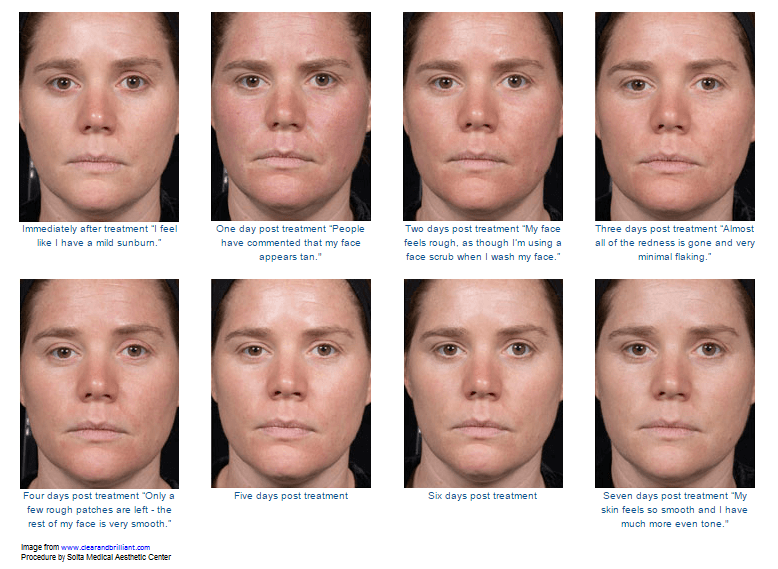 That SKIN GLOW is immediately noticeable the day of, and day after treatment. BUT keep in mind the result of a session will be most noticeable after 10-14 days and will continue to improve in the next couple months. AMAZING things are happening beneath your skin during this time. Oxygenated cells, nutrients, collagen and elastin building blocks are being replenished! As prescribed, more than one session with amplify your #skingoals. FOUR sessions to kick your skin into flawlessness is recommended to start with. And then maintenance treatments from then on. It is also a perfect pick-me-up/last minute skin-glow treatment for upcoming social events, not to mention its anti-ageing effects. Clear + Brilliant has created amazing selfie & skin confidence and will continue to do so for all skin health fans out there! Be warned, the results are so good that it is extremely additive! © 2019. All rights reserved. Eleventh Heaven.